The nights are getting darker across Mid and East Antrim, but not for long as the Christmas light switch-ons get underway this month. Ballymena, Larne and Carrickfergus town centres will be awash with colour as shoppers take to the high streets to find their Christmas by supporting local. Council has been working with the Department for Communities to deliver sparkling new lights across the town centres to revitalise the town centres and help guide shoppers to all the fantastic independent and high street retailers here in Mid and East Antrim. Santa and his reindeer will be visiting Ballymena, Larne and Carrickfergus as his elves get ready for another bumper season. On Thursday 15 November, Ballymena’s brand new festive lights will glitter through the high streets right up to the Harmony Hub, where a spectacular lantern parade with local schools, live music by Peach, Santa on his live reindeer train, a Canadian drey pulled by two magnificent Clydesdale horses, 45 young singers from Raise the Roof Choir and lots of family fun will be taking place from 4pm-7pm. The parade will take Santa to the Tower Centre where children have the chance to meet him. Larne’s celebrations kick off between 6pm and 8pm on Friday 16 November. Local schools and community groups will help light up the streets as they lead Santa and the Mayor to Broadway Plaza to switch on the Christmas lights. The sky above Carrickfergus on Saturday 17 November will be lit up as well as the tree in a breathtaking fireworks display around 5.45pm. It follows a day of family entertainment from 2pm with live music by The VIPs, dance by Studio 86, musical theatre by Uplift Performing Arts, mini funfair and a carol service at St Nicholas’ Church at 4pm getting everyone in the Christmas spirit. Mayor of Mid and East Antrim Cllr Lindsay Millar said: “I love Christmas and I am really looking forward to getting into the spirit of things at all the fantastic events happening across the borough this season. 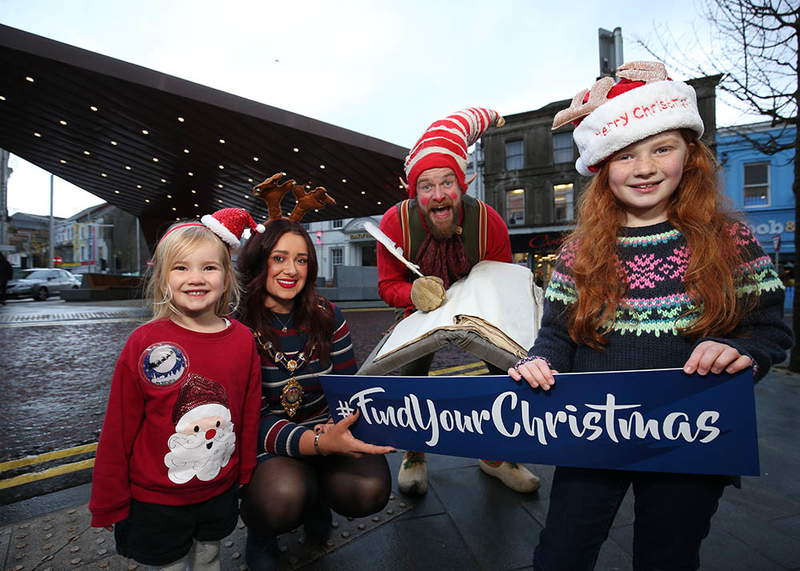 “All the town centres have got new lights this year and we want you to share the sparkle on social media using the #FindYourChristmas when you’re in buying your Christmas goodies. We have such an array of fantastic independent retailers, big high street names, cafes and coffee shops as well as beauty, hardware and gift shops across our towns, so there is truly something for everyone. With all our towns well within an hour of Belfast, Mid and East Antrim offers something a bit different and an amazing opportunity to buy unique gifts for loved ones this year. For more information and to keep up to date you can go to our Events section.